While preparing for our trip, we were unavoidably concerned with news reports of Hamas launching rockets into Southern Israel. The level of concern only escalated when air raid sirens were heard over Tel Aviv. Israel’s Iron Dome missile defense system ably and quickly handled the threats. As our departure date approached, we were concerned, but, after advice from those on the ground in Israel, we boarded (less our mom, who decided not to make the trip) our flights to Madrid, connecting on to Ben Gurion Airport in Tel Aviv! 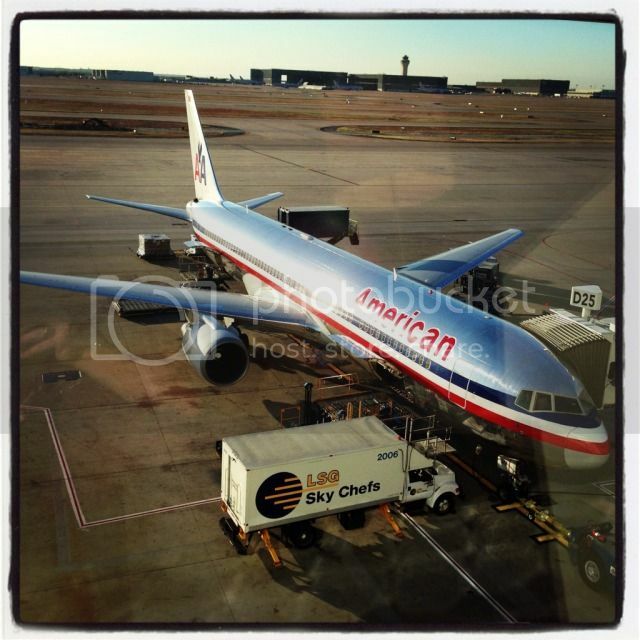 As I said, the flights were in coach, so nothing to really write home about, but due to my status on American Airlines (Platinum, PLT for short) I was able to secure my brother and I seats in American’s new Main Cabin Extra mini-cabin on our 767. 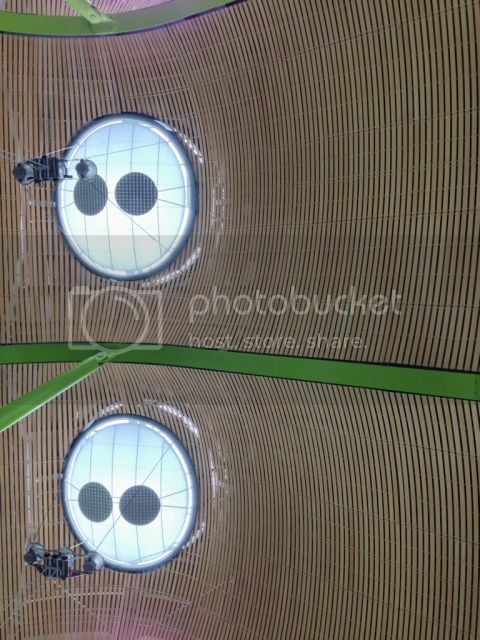 More legroom meant a surprisingly relaxing trip to Barajas airport in Madrid, where we had roughly a two hour layover in their new international terminal. From Madrid we had a quick 4.5 hour flight into Tel Aviv. Everyone always talks about Israeli airline security, and the reputation comes with merit: pretty much every interaction we had with Israeli security was professional yet extremely inquisitive, but they went ahead and allowed us into the country, even though they mocked us for coming all the way to Israel and only spending 3 full days on the ground. Our first stop in the airport was the Thrifty rental car counter to pick up our car…only there was no Thrifty rental car counter. Not wanting to bother with a rental car shuttle, mainly because there’s not one, I walked over to Avis, made a pretty good deal (read: got ripped off), paid for the GPS system (worth every shekel), and we got our boogie on to Jerusalem! It’s kind of hard to put our experience in Jerusalem into words, but I’ll try my best. Most of the historical facts are courtesy of our tour guide, Boaz Shalgi, to whom I’ll dedicate an entire post (that’s how important a role he played) so you can get to know him. 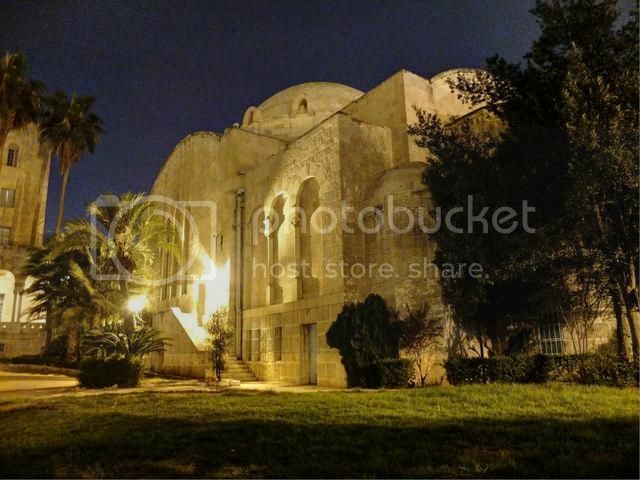 Hotel prices in Jerusalem are pretty ridiculous if you want to stay anywhere near the Old City, but TripAdvisor helped me find a little jewel: The Three Arch YMCA. 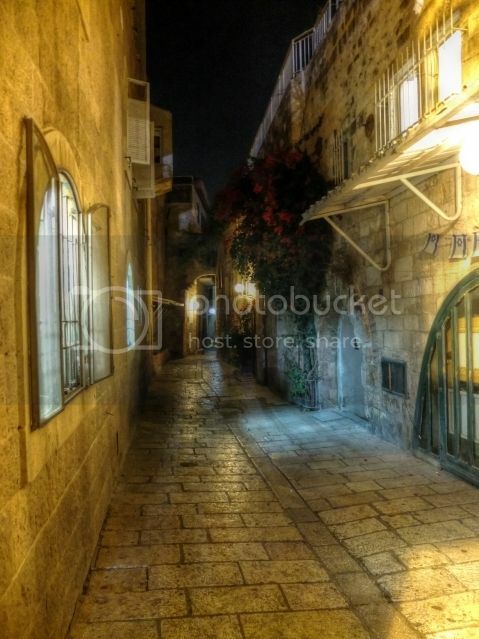 It runs about $120-160/night and is right across from the King David Hotel, about 2-3x as expensive, and is 5 minutes walk from the Old City. The rooms are a bit spartan, but the wifi is fast, the beds comfy, and the architecture of the hotel is pretty incredible. Our first night we decided to park the car, walk around for a bit, and call it an early night. We found a burger place and enjoyed some good ol’ American food on our first night in a foreign land (facepalm, I know). The next morning, we met Boaz and immediately hopped in our car (which we unaffectionately named “Kelev”, which is Hebrew for “dog”, and more family friendly than what I repeatedly called the car as we tried to drive up hills) and headed over to the Mount of Olives. In one picture you can begin to see the complexity of this city and, moreover, this land. 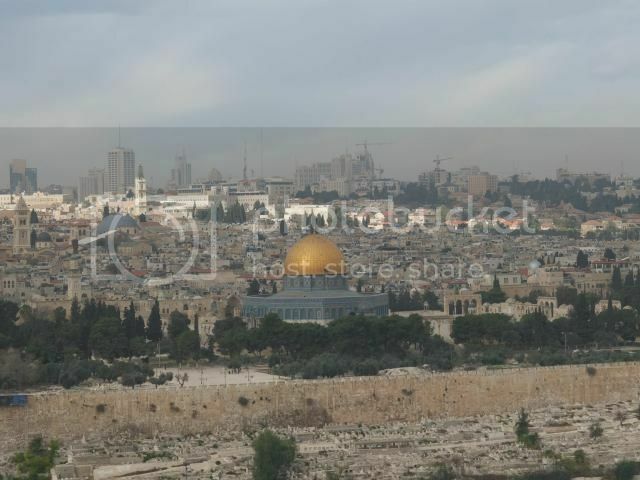 The golden-domed building you see in the middle of the picture is the Dome of the Rock, the third-holiest site in all of Islam. To the left is the Al-Aqsa Mosque. But the entire complex sits on top of what’s known as the Temple Mount (the holiest site in Judaism), where Jerusalem’s temple stood until it was destroyed by the Romans in 70AD, and where Jews believe a Third Temple will be rebuilt with the coming of Messiah. (note: we’ll get to the Christian sites later) It’s not hard to imagine how this would lead to conflict between the Muslims and Jews, that is the story of Jerusalem: faith and reverence amid struggle. 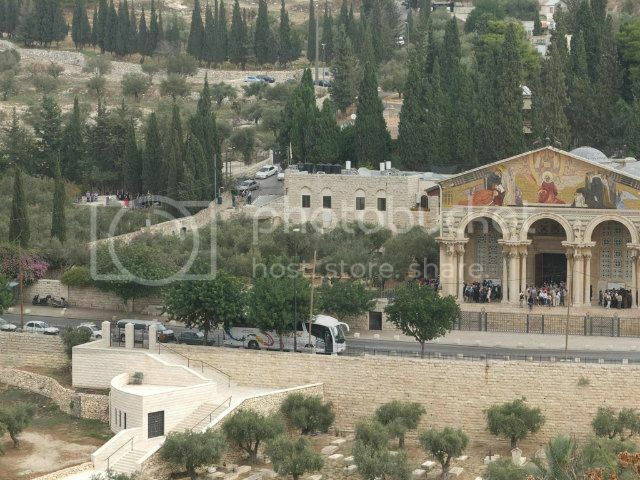 The Mount of Olives resides in East Jerusalem, otherwise known as the Arab side of Jerusalem. Not entirely unlike Berlin before the end of the Cold War, Jerusalem has a Jewish side and an Arab side (unlike Berlin, there’s no wall anymore, but there’s a marked difference between the two sides in architecture, livelihood, and just feeling). From the Mount of Olives, we walked down through the massive Jewish cemetery along a path that wasn’t dissimilar to that which Jesus used during his triumphal entry into Jerusalem. The Garden of Gethsemane took my breath away. This is where my Savior prayed, anguished over what was to become of Him to the point of sweating blood, and where he was arrested before his crucifixion. 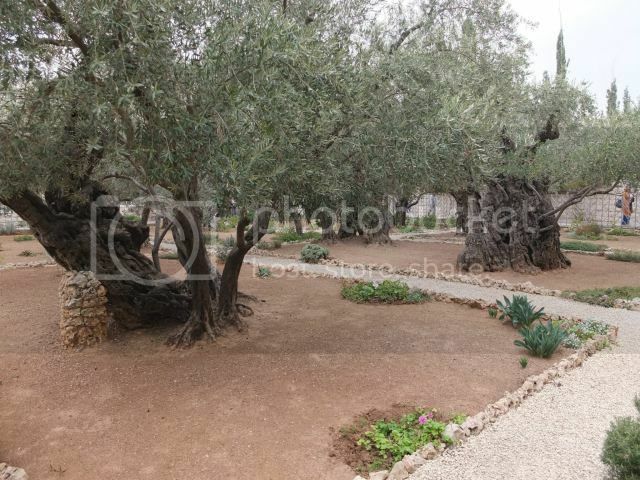 This is undoubtedly the historical Garden of Gethsemane, not a recreation of any sort. 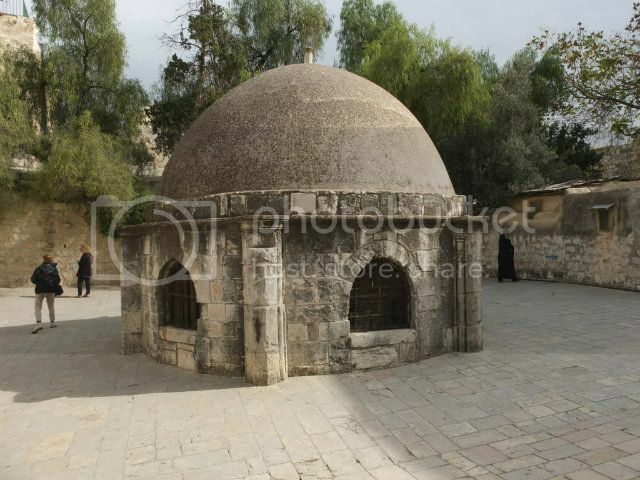 It sits at the bottom of the Mount of Olives near the Kidron Valley. The entire site took my breath away, but even moreso the fact that some of the olive trees date back over 2000 years, which means: those trees were there the night Jesus was arrested. It simply blew me away to the point of tears. We entered the Old City from the Arab cemetery just to the east (the Muslims misguidedly placed a cemetery there based on the idea that the Jewish Messiah would not be able to fulfill prophecy and enter Jerusalem through the Eastern Gate because he must come from a priestly family and priests aren’t allowed in cemeteries) through the Lion’s Gate, which put us into the Muslim Quarter of the Old City. 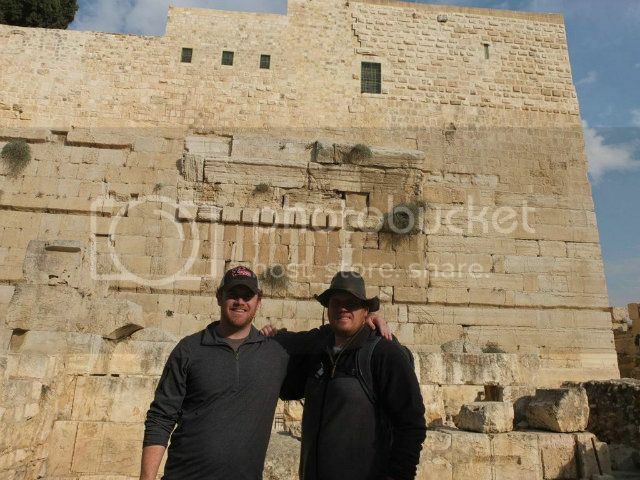 Just to the right of the entrance, we saw the Pools of Bethesda, where Jesus healed the crippled man on the Sabbath. As we exited the Pools and turned to the right, we started seeing groups of Catholics walking slowly and carrying crosses. That’s the easiest way of knowing you’re at the Via Dolorosa, the path Jesus walked to his crucifixion. We know where Jesus began his walk (the building is now a Muslim school) and we know where it ended, but the exact route isn’t known. The Via Dolorosa comes to an end at the Church of the Holy Sepulchre, venerated as Golgotha, where Jesus was crucified, buried, and from where he resurrected. 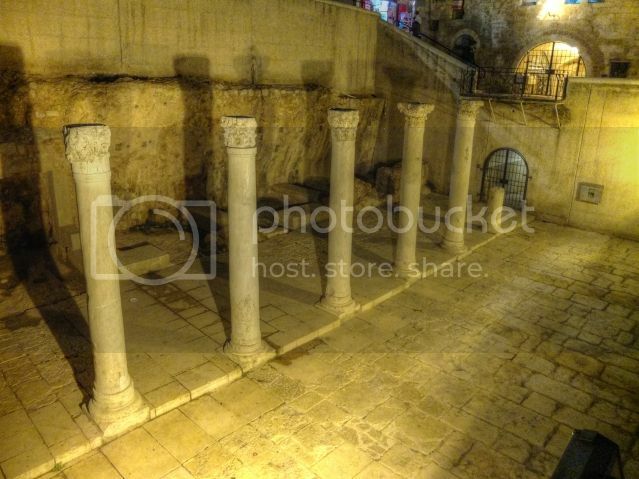 There are other locations theorized (most Protestants acknowledge a different location, the Garden Tomb, as Jesus’s actual tomb), but there is actually very good archaeological evidence for this place being the spot. The church is not a singular chapel, rather almost a sort of mall of mini-churches: Eastern Orthodox, Oriental Orthodox (Coptics, Ethiopians, Syrics), Greek Orthodox, Catholic, and Protestant. There are massive turf wars within the church facility, which is an unfortunate metaphor for our relationship with God: He gives us a testament to His grace, His power, and His plan, and we simply bicker about it. The line to enter the Tomb of Jesus was about 4 hours long the day we were there (which is a relatively short line), so we decided not to enter, but we did walk around and saw what is likely the tomb of Joseph of Arimathea. Truthfully, the church was too crowded and full of controversy between the churches to be called a place of reverence. It’s to the point that the Greeks, who control the area containing the Golgotha stone, and Catholics, who control the area next to it, will watch when each side is sweeping the floors to ensure that no dirt is intruding on their side. Also, fist-fights among the priests are not unheard of. The tomb and the history of the place was incredibly interesting, but the infighting kind of ruined it. The churches disagree on things so fiercely that the opening and closing of one of the holiest places in Christianity is left to two Muslim families, one family opens the doors every morning, and the other closes them at night. 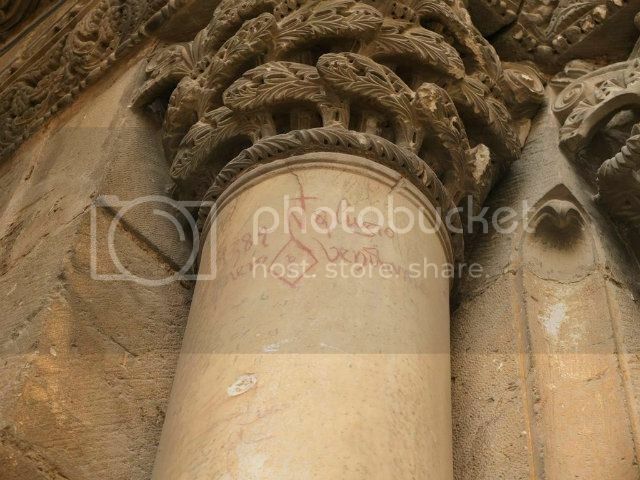 But, we did get to see some of the oldest graffiti in the world! After a quick bite at a shewarma joint in the Muslim Quarter, we walked towards and through the Jewish Quarter on our way to the Temple Mount. The amount of archaeological excavation around the Temple Mount is staggering, and we got to see an incredible amount of recently discovered history. Along the southwestern side of the Temple Mount is a recently-opened park that dates back to the Second Temple area, basically around the time of Jesus. It means you quite literally get to walk on the same stone pathways on which Jesus walked. 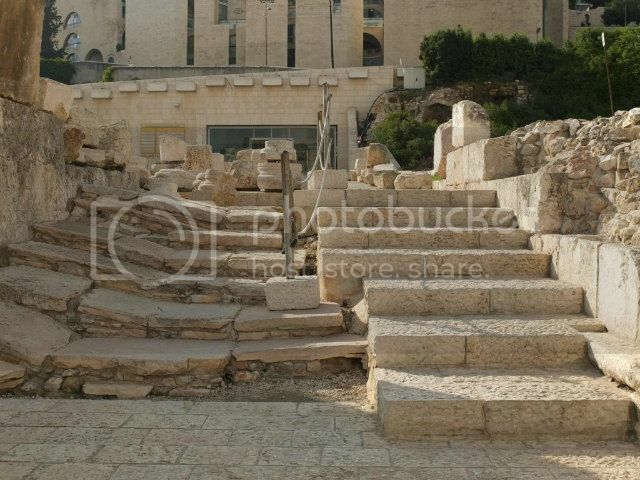 On the southern side of the Temple Mount, from where Jewish pilgrims would ascend from the City of David to the Temple three times a year, they’ve uncovered a massive staircase that they believe starts at the Temple Mount and went all the way down to the City of David in the valley to the south. What was unique about these stairs is that they weren’t uniform in height or width. 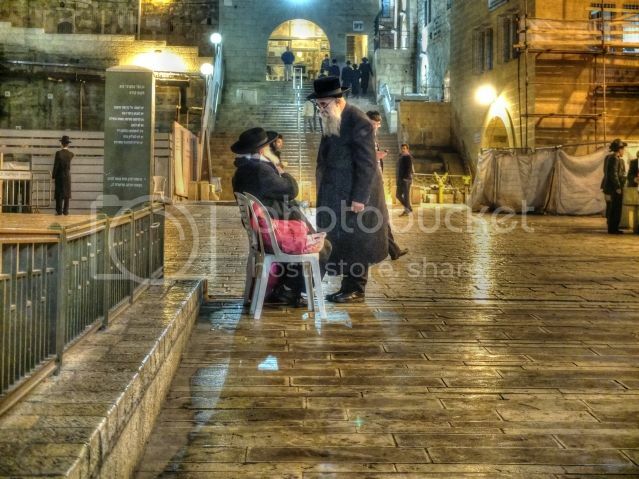 This was done on purpose by the Jews, to force people to slow down (instead of just strolling up the stairs) and prepare themselves for an encounter with God with reverence. We also saw various stones with inscriptions that date back to Jesus’s time, which was incredible and lent a sense of authenticity to each and every step you took. From the archaeology park we made our way to the Western Wall. 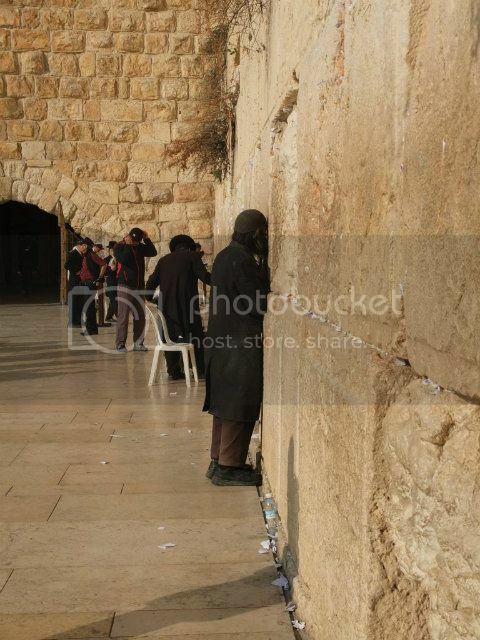 Jews are not allowed on top of the Temple Mount, so they come to pray at the Western Wall, which is the closest place geographically to the Holy of Holies in the Temple (at least closest that the Jews can access). 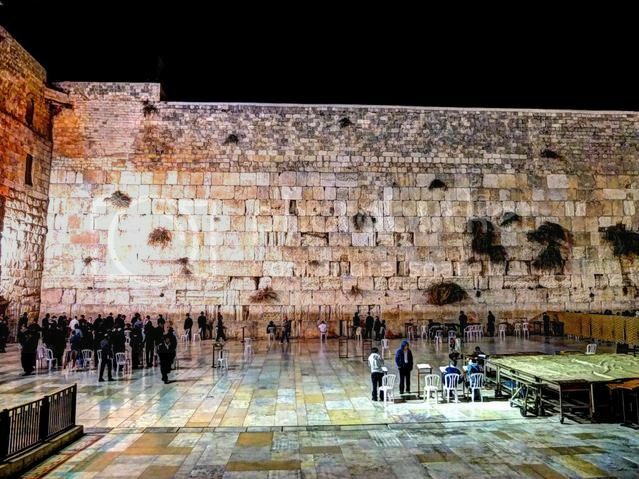 This wall was formerly known as the Wailing Wall whenever Jerusalem was occupied by Rome, Muslims, or anyone else who has tried to conquer this city, but it is now known as the Western Wall since the creation of the Jewish state in 1948. 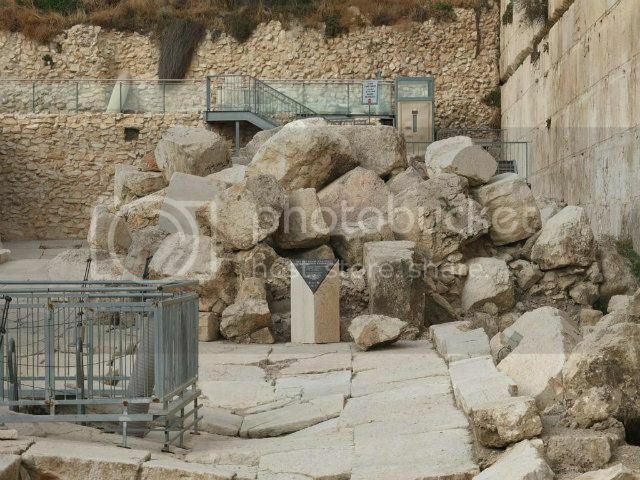 There are two entrances for the Western Wall plaza, men and women. You are asked to cover your head as you approach the wall as well (they have head coverings if you don’t have one, but even a baseball cap will suffice). 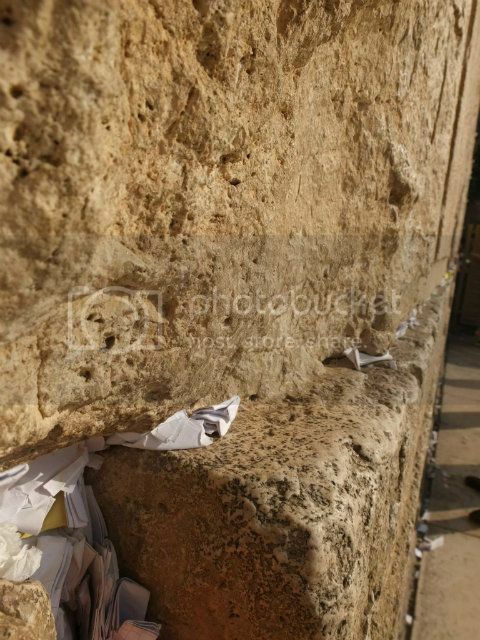 The experience of approaching the Western Wall is weighty and significant, even for Gentiles. 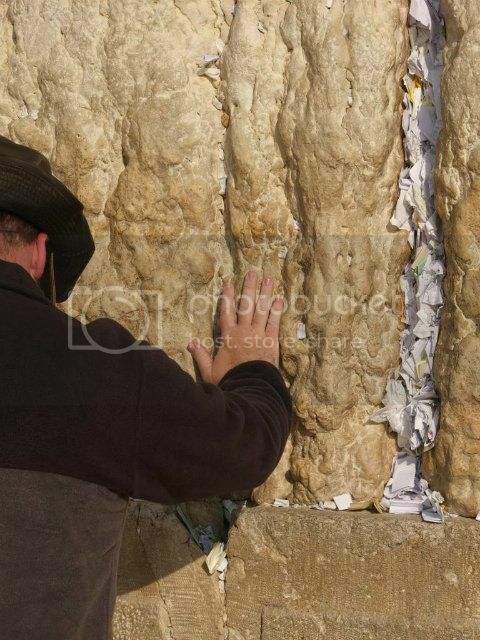 Many will write prayers on papers and stuff them into cracks in the wall. Others will sing, others chant, and still others quietly meditate with a hand on the wall. Our day wound down at the Western Wall, so we bid Boaz a good evening and went off to find some good Israeli food. But instead we ended up at a really good pizza place (another facepalm). The night was a bit humid after bits of rain on and off all day, so we decided to head back into the Old City to grab some pictures at night, as the reflections from the streets and buildings would surely make some great pictures. You did a great job with words and pictures to show a part of Jerusalem! I hope you will enjoy the rest of your trip through the beauty of Israel! Thanks for sharing!! Really enjoyed this! Looking forward to being able to visit Israel someday. How interesting and enlightening and very well written. 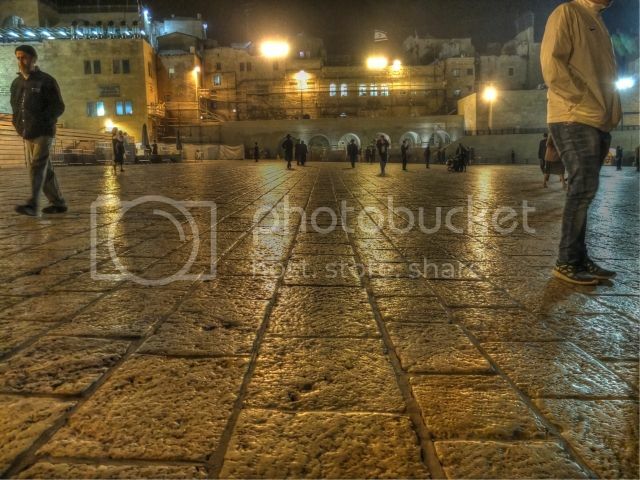 I have always wanted to go to the holy land and your blog and photos made me feel like I was there. Thanks so much for sharing! I am the mother of a teacher that worked with your mom.